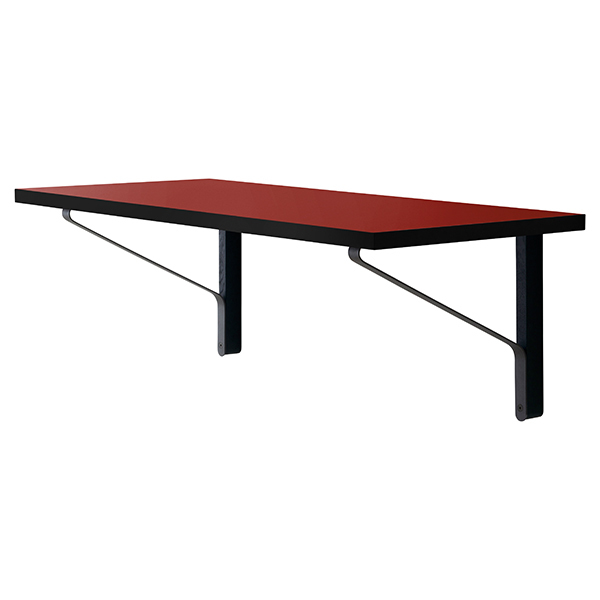 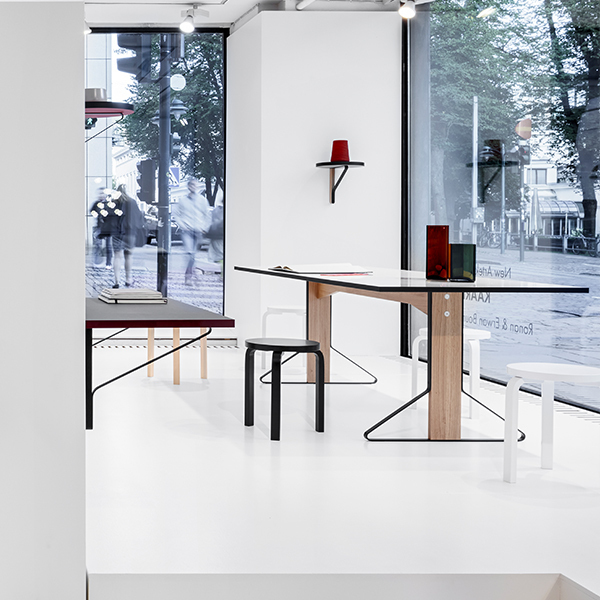 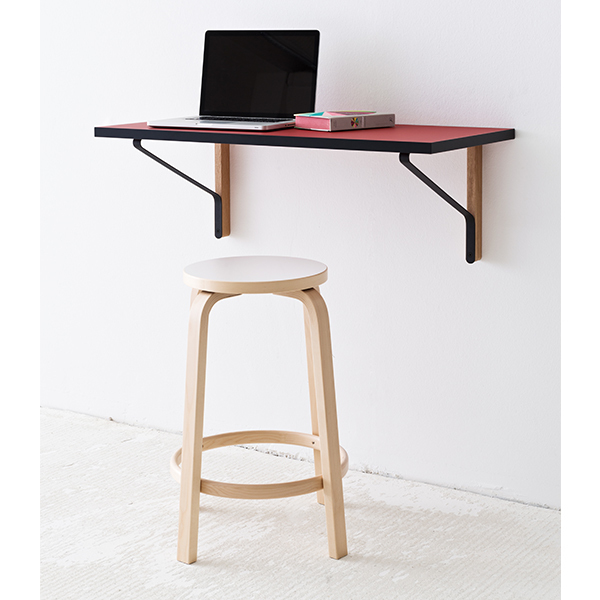 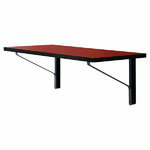 Artek’s REB 006 Kaari console features a red linoleum panel with a black ABS edge. Its length is 100 cm, width 45 and thickness 2,4 cm. 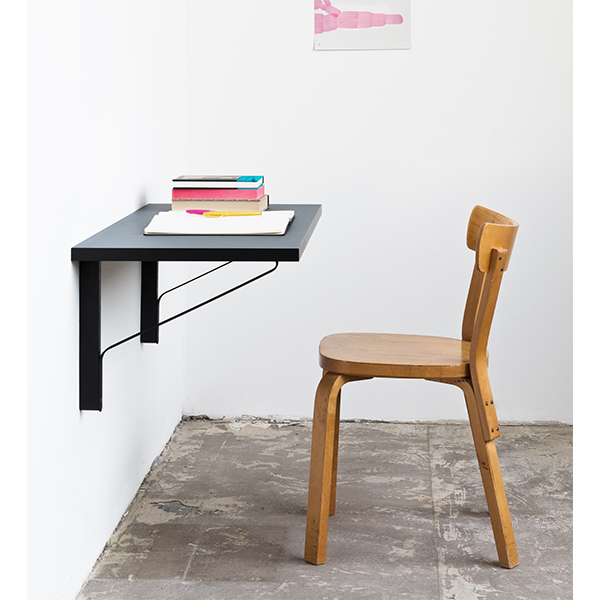 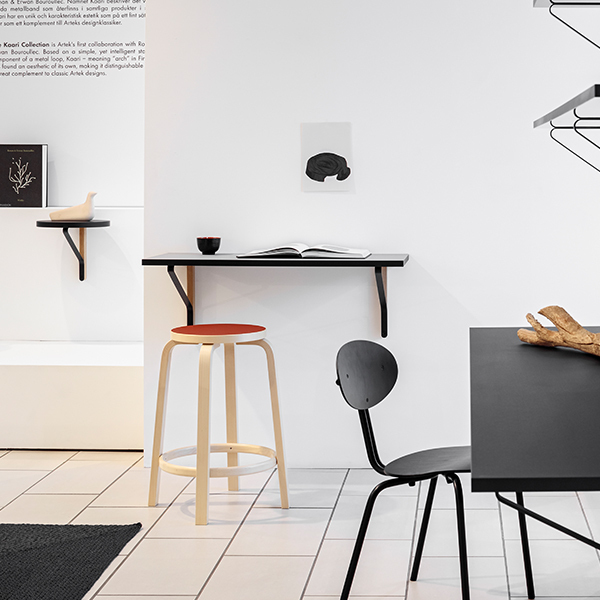 The materials of the wall brackets are black stained oak with protective varnish and black powder coated steel.